With the help of many community partners, we provide developmental screening free of charge for children ages 4 months to 5 years. 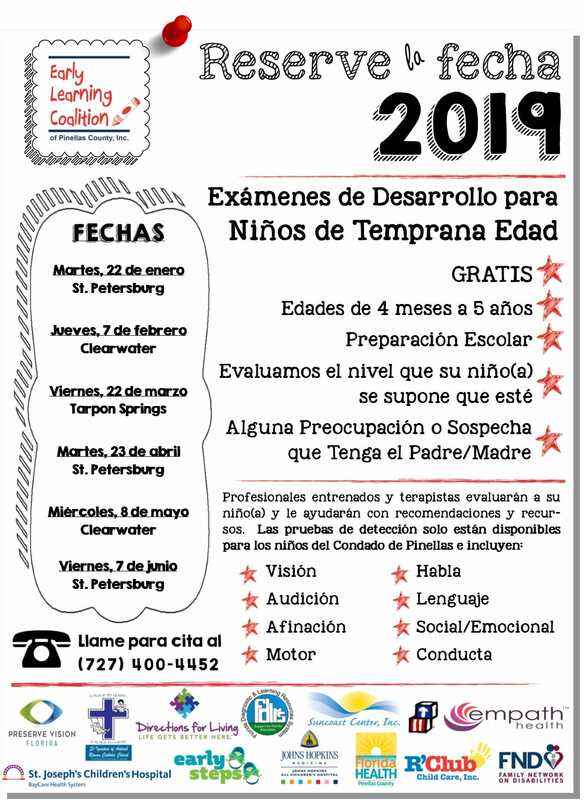 The event is open to families that live in Pinellas County and we are especially trying to reach children who are not in child care. Children who receive a school readiness scholarship or who are in a Head Start program are not eligible for this service as those agencies offer similar services to their families. 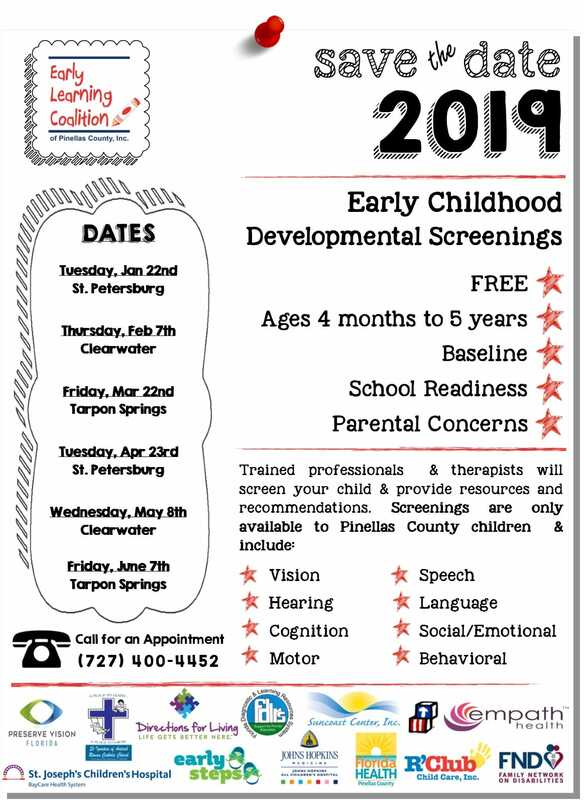 Screening is important because it informs a family of their child’s current functioning level, if early intervention is required and if their child is ready to learn. Most delays can be remediated with early intervention services. Parents have the opportunity to consult with therapists and developmental specialists about any concerns they may have. After the screening, families receive an exit interview where the results are discussed. If a concern is identified that requires further evaluation, the referral is processed at that time. Parents should call at least one month prior to the screening to allow for the amount of time it takes to do the intake, schedule the appointment, and to receive and fill out the paperwork necessary prior to the screening. A screening takes two to three hours to complete.